This fast-acting relief ointment is guaranteed safe and clinically proven. It's paraben-free without any fillers or toxic ingredients. It treats psoriasis and eczema in the fastest and easiest way possible so you won’t have to suffer that upsetting dilemma anymore. 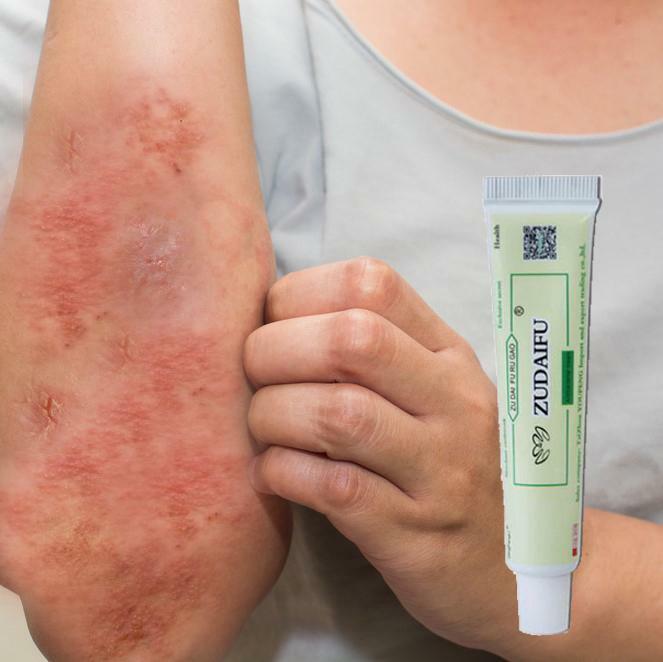 The Advanced Psoriasis & Eczema Cream is formulated to gently get rid of itchy skin, painful swelling, and skin redness caused by flare-ups of eczema or psoriasis. Made with hypoallergenic formula, it’s highly ideal for all skin types, providing you with an immediate and long-term relief from the trouble of cracked, itchy, dry, scaly, and painful skin. It effectively boosts healing and promotes new cell growth that will further protect your skin from future infections. Moreover, it feels very soothing, too, as it deeply moisturizes the affected area. Wash the affected area with soap and lukewarm water. Squeeze a generous layer on the problem area. Massage gently until absorbed by the skin. Clear, Calm, Beautiful Skin. Quickly bring soothing relief to itchy eczema prone skin with our cream to calm, protect, and maintain the itching, irritation, inflammation and redness associated with eczema. 30 grams with an expiry of 2 years from purchase.